The evolutionary progenitor that gave rise to the modern swallow family probably separated from other primitive insectivorous birds in the Eocene (i.e., in the Lower Tertiary about 50 million years ago). In addition to many relatively recent adaptations related to their mode of aerial hunting, the swallows show some ancient evolutionary characters, such as the presence of bronchial rings, and so they are placed fairly low in the phylogenetic tree of the passerine birds (Passeri-formes). 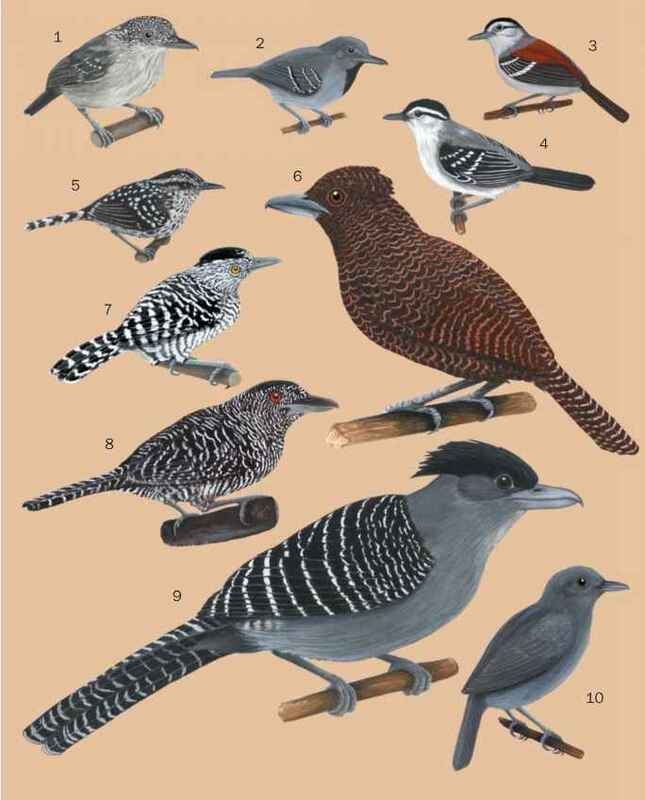 Ornithologists consider the Hirundinidae to be closely related to larks (Alaudidae), pipits and wagtails (Motacilladae), and cuckoo-shrikes (Campephagidae). The family Hirundinidae is separated into two major groups: the river-martins (subfamily Pseudochelidoninae) and the true swallows and martins (subfamily Hirundininae). The rivermartins consist of only two species, while the true swallows include 14 genera and about 86 species. The river-martins have relatively robust legs and feet and a stouter bill than the other hirundines. They are thought to have diverged from the main hirundine line early in the evolution of the group. During the past century, the classification of swallows and martins into genera has been modified several times. Initially, all the swallows (and also the swifts, now in the separate family, Apodidae) were placed into a single genus, Hirundo. With additional study, however, the swifts were recognized as being unrelated to the swallows and were assigned to their own family. More detailed research then resulted in the description of additional genera of swallows. Presently, 15 genera are recognized, with separation based on aspects of their morphology, biochemistry, and ecological and behavioral characters. Some genera form subgroups of closely related species. Modern ornithologists do not consider the swallows (Hirundinidae) and swifts (Apodidae) to be closely related— their morphological and behavioral similarities are due to convergent evolution. Such convergence is manifest when, in otherwise not closely related organisms, similar body forms and behavioral traits develop as a result of selective pressures associated with comparable ecological niches. Their similar adaptations account for the fact that swallows and swifts are often confused and were once regarded as close relatives. Since the end of the nineteenth century, however, they have been recognized as belonging to different orders of birds— the swifts (Apodiformes) are not even perching birds.